This page shows the latest Xultophy news and features for those working in and with pharma, biotech and healthcare. 10% gain for Tresiba (insulin degludec) and a sharp increase for Xultophy, a combination insulin/GLP-1 shot which more than doubled to 1.6bn krone. same day as rival therapy Xultophy, Novo Nordisk's insulin degludec and liraglutide combination. ... In the EU, however, Xultophy has the edge as it received regulatory approval in 2014 in Europe, where it is marketed as IDegLira. Diabetes drug available in pharmacies for $127 per 300 unit pen ahead of Novo Nordisk's Xultophy. ... 2016. 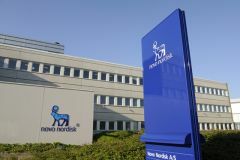 Xultophy is already available in Europe under the IDegLira trade name, but Novo Nordisk has not yet broken out any sales figures for the drug. Xultophy set to launch in first half of 2017 while Soliqua is intended for January roll-out. ... In the case of Xultophy, the combination is based on Novo's basal insulin Tresiba (insulin degludec) and market-leading GLP-1 agonist Victoza (liraglutide). Approximately 13 fully matching, plus 15 partially matching documents found. products - such as basal insulin Tresiba and its Ryzodeg and Xultophy combinations.